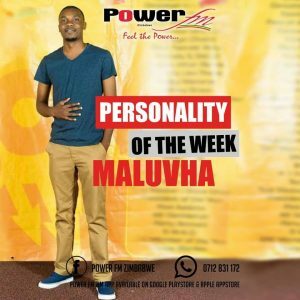 Maluvha Luvha is one of the new guys to recently join the Power Fm dream team and is keen to kick off his career with a bang. Media and communication has been his passion ever since adolescence and that passion deliberately folded towards radio thus channelling him to pursue media as a profession. He has previously worked as a community journalist for a renounced community paper, covering all aspects from politics, business, sports, arts and entertainment. Dedication, passion, hard work, simplicity and propounded humility is what drives Maluvha Luvha. Currently he is the station’s only sports caster and host of Sports Centre with Tinashe Chikuse and Brighton Chitanha, the daily sports show on Power Fm Zimbabwe every Monday to Thursday at 1805- 1830. Maluvha strives to bring the biggest radio sports program available in the nation.